Are you traveling to Amelia Island, Florida? 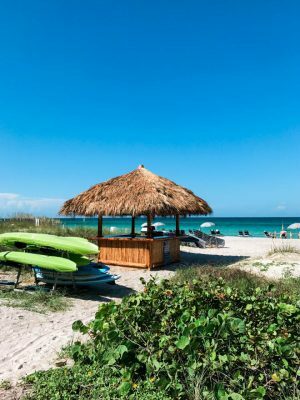 Do you live in Florida and want to take a day trip to the island? 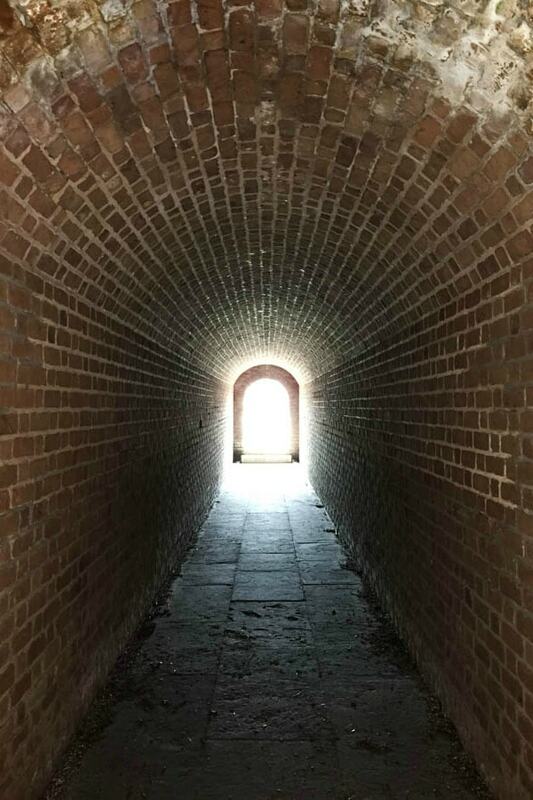 Read about the best things to eat, see and do in one day – featuring Fort Clinch State Park, Gilbert’s Underground Kitchen, Downtown Fernandina and more! One of the benefits of living in Florida is that there are endless things to see and do. Many places are within driving distance and can be visited for the day. Amelia Island is a barrier island located on the northernmost part of the east coast of Florida. With beaches, festivals, golfing, shopping, dining and nature, there are many fun and unique places to visit. The following provides a one-day itinerary of things to do, places to see and where to eat on Amelia Island. When traveling, I always love to check out the local farmer’s market to purchase local goods and sample delectable creations. 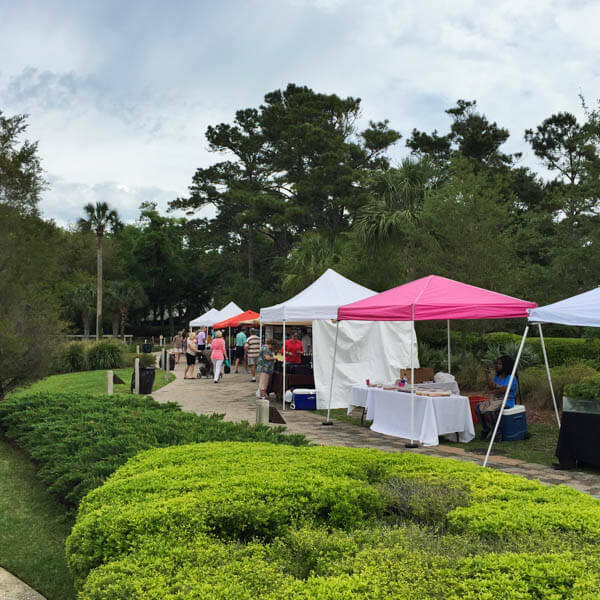 The Amelia Farmer’s Market is located at the Shops at Omni Amelia Island Plantation. 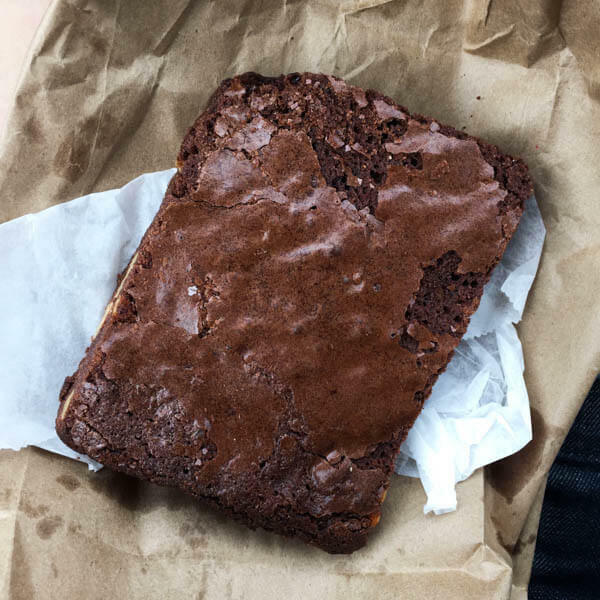 In addition to plants, fruits and vegatables, there are freshly baked breads, treats and prepared foods to sample and purchase. The farmer’s market is open every Saturday from 9am – 1pm so it is a great way to start the day. Stop by Marche Burette, the gourmet food market and deli and grab a light breakfast. 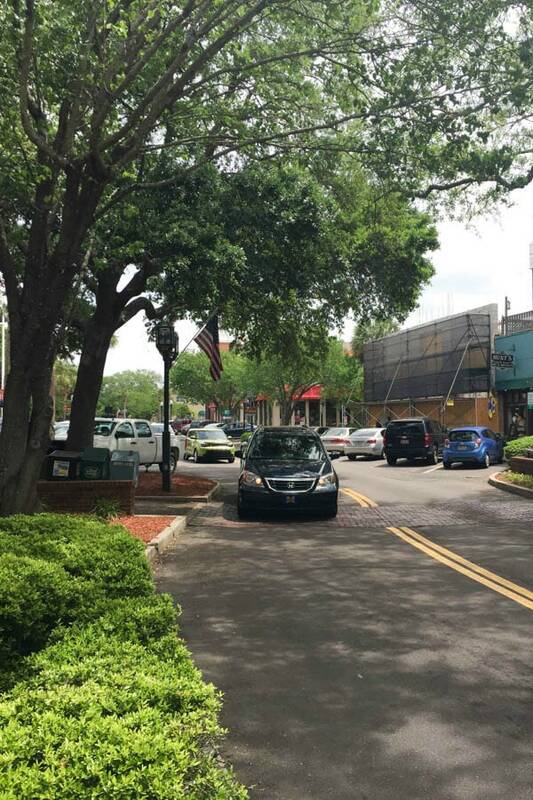 Downtown Fernandina Historic District is located right near the marina and features many buildings on the National Register of Historic Places. 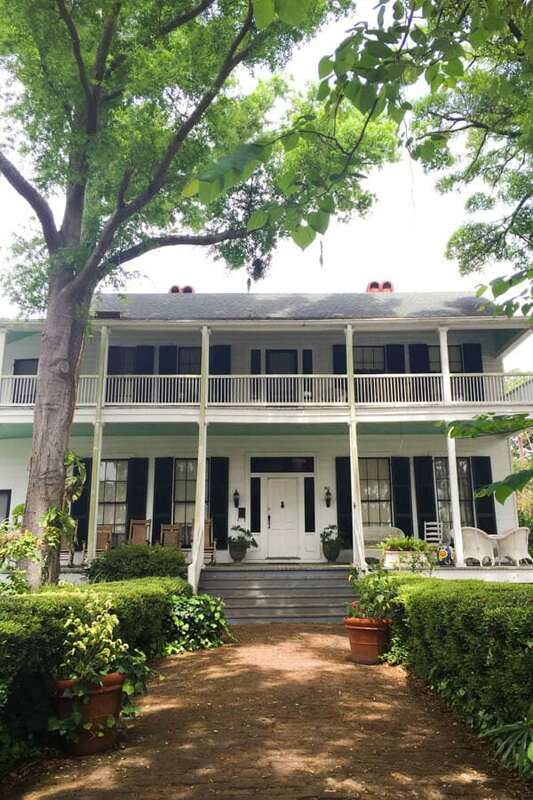 Walk the streets, browse through the antique stores and gift shops and explore a little piece of American history. Everything is located within walking distance. Park your car, stroll the streets and watch the boats dock at the marina. 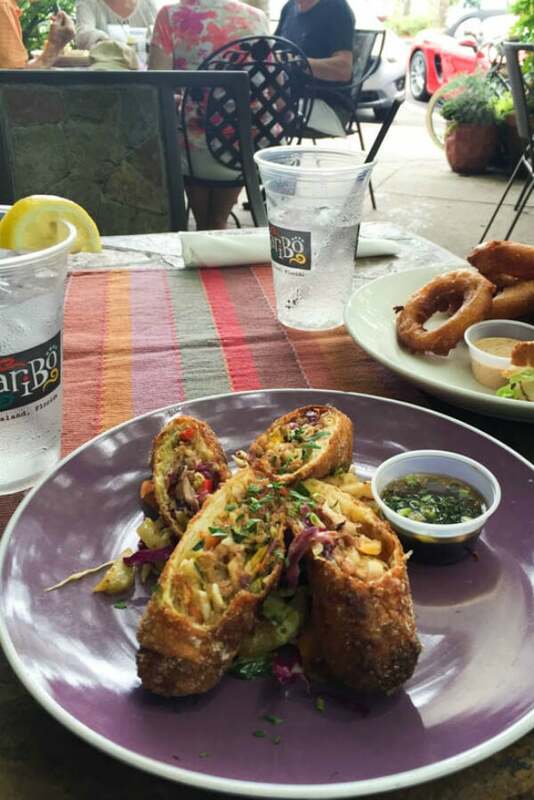 One of the best things about Florida is the ability to enjoy lunch outside almost year round. With plenty of outdoor patios, Amelia Island is the perfect place to enjoy lunch outside. 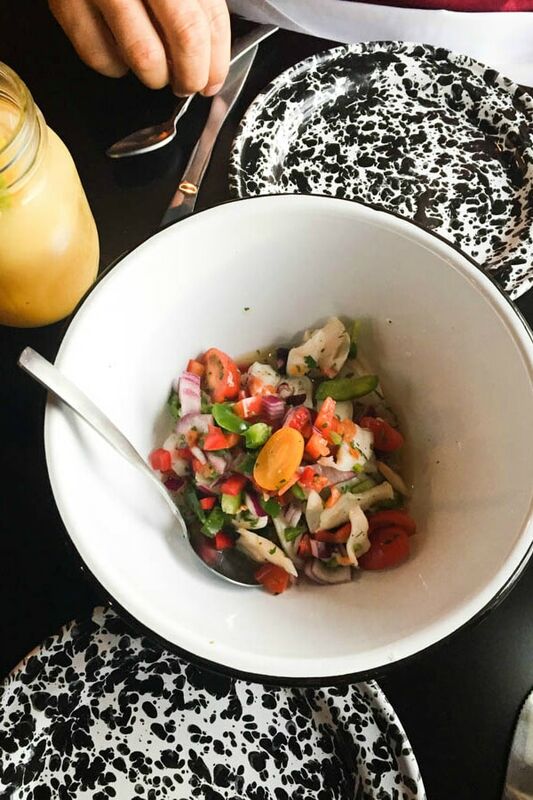 Cafe Karibo and Timotti’s Seafood Shack are just two of the wonderful outdoor dining options downtown. 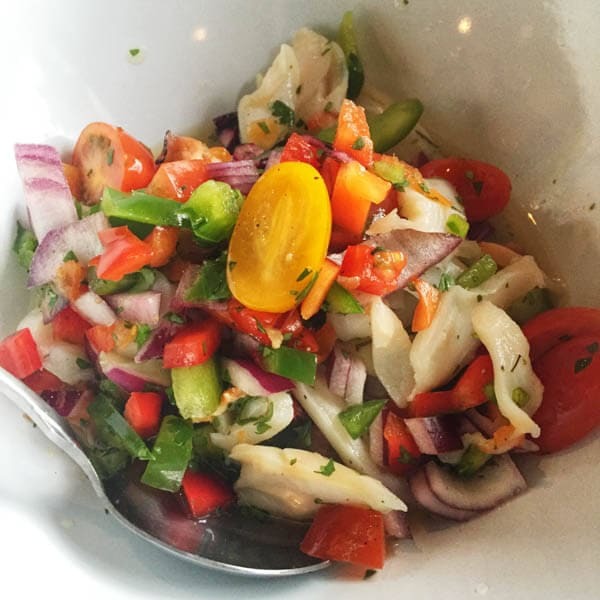 Both are family friendly and serve fresh local seafood and more. 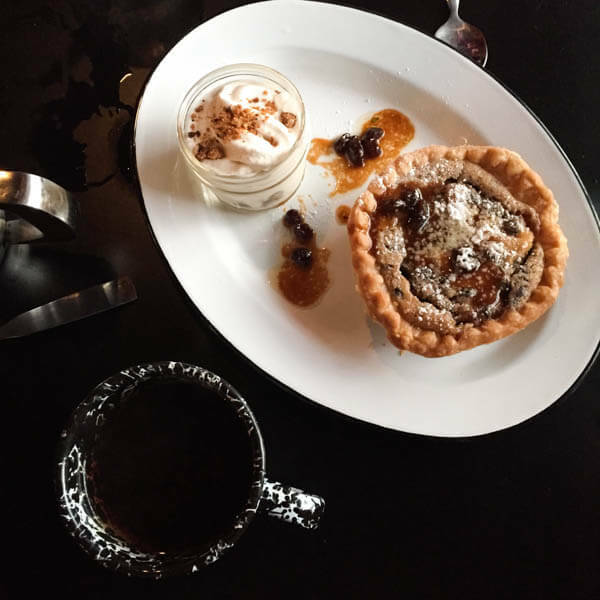 Craving dessert after lunch? Go to Fantastic Fudge located in downtown Fernandina. 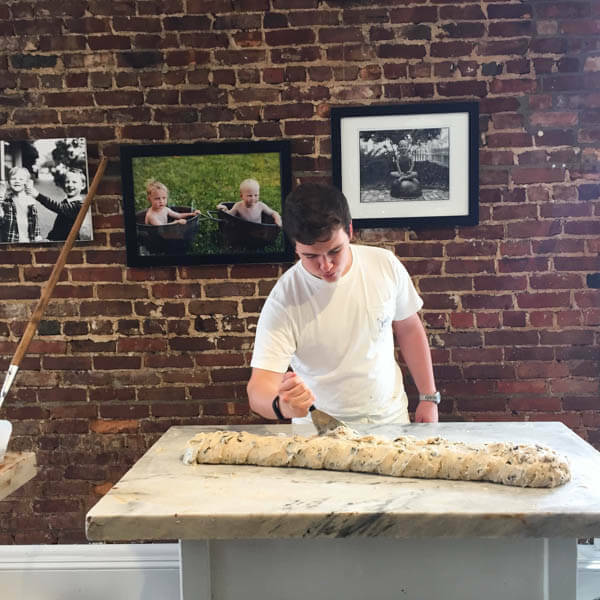 The fudge is made fresh on site. They also have ice cream, pralines, chocolate candy and more. 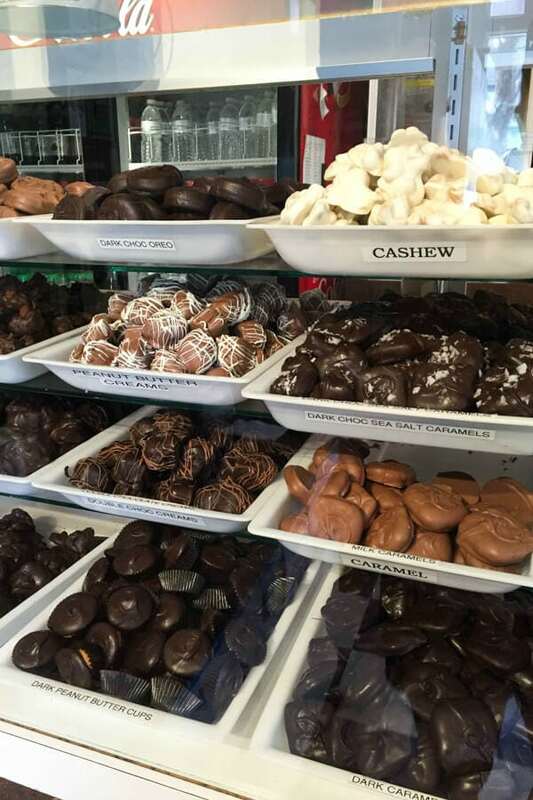 You know that I can’t ever resist chocolate so I stop in for a few dark chocolate peanut butter cups and milk chocolate fudge. 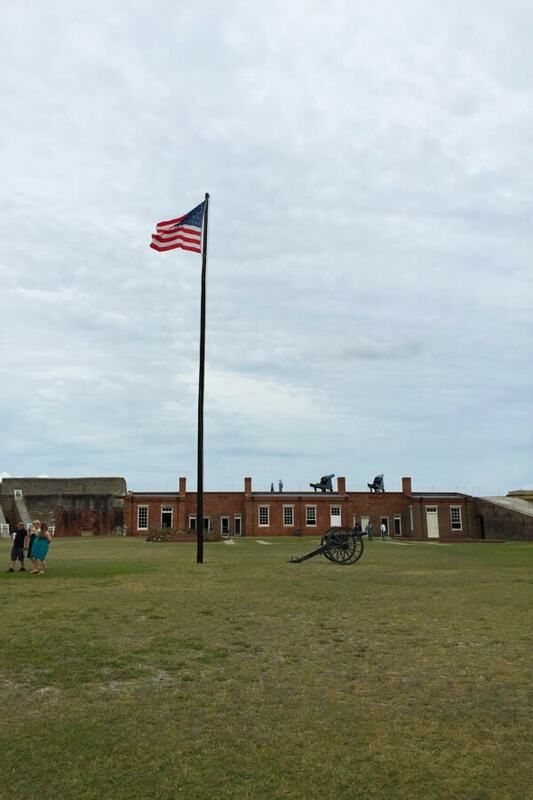 Located on the most northern part of the island, Fort Clinch State Park is a great place to spend the afternoon or even the entire day. 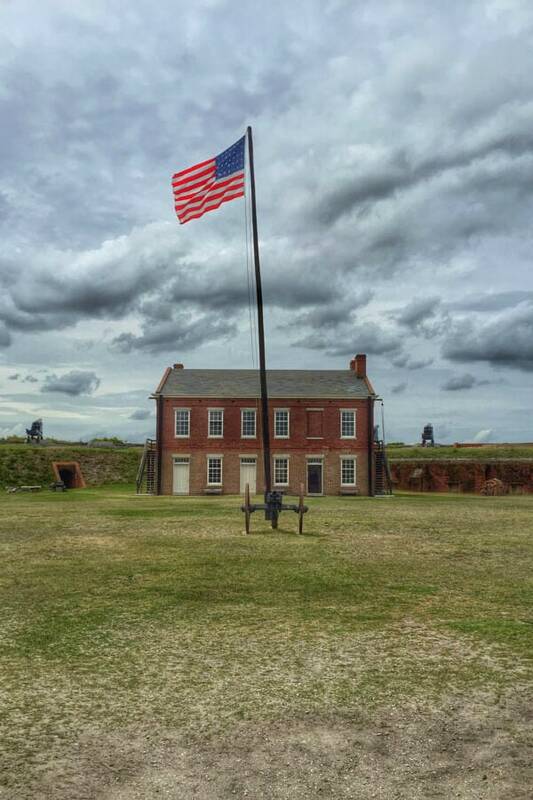 The fort served as the base of Union operations in the area throughout the Civil War and was used as a communications and security post during World War II. 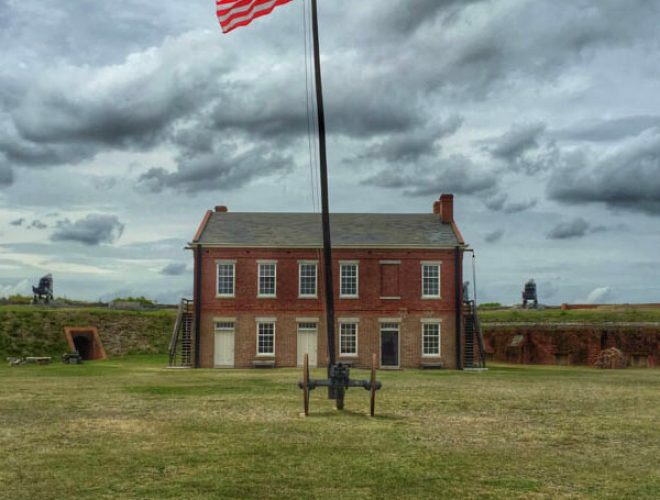 The historic fort costs just a few dollars to visit and you step back in time to the year 1864 with live soldiers reenacting life during the Civil War. The park is one of my favorite things to visit on the island. The park is more than just the fort. 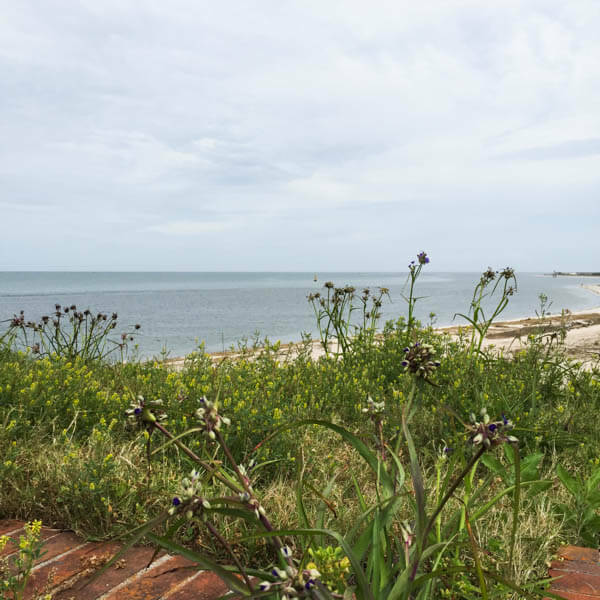 With 3 miles of shoreline, there is plenty of space to grab some beach chairs and an umbrella and enjoy the ocean views. On the most northern part of the island you can see across to Cumberland Island, Georgia. The park ranger told us that you can frequently see the wild horses roaming the beaches on Cumberland Island, so bring your binoculars. The park also offers a 1/2 mile long fishing pier and miles of bicycling on historic canopy roads. 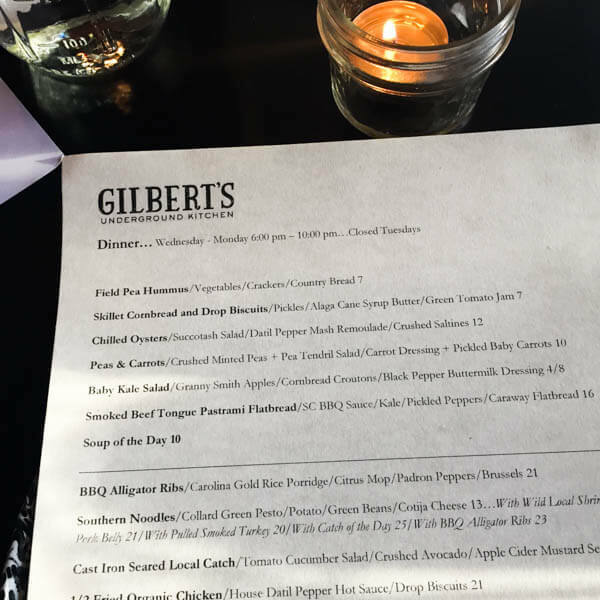 Gilbert’s Underground Kitchen is one of the newest restaurants on the island and grabbed my attention the first time I read about it. Executive Chef Kenny Gilbert was featured on season seven of Bravo’s “Top Chef” and previously worked at the Ritz Carlton Amelia Island and James Beard recognized restaurants such as Yardbird and Swine in Miami. 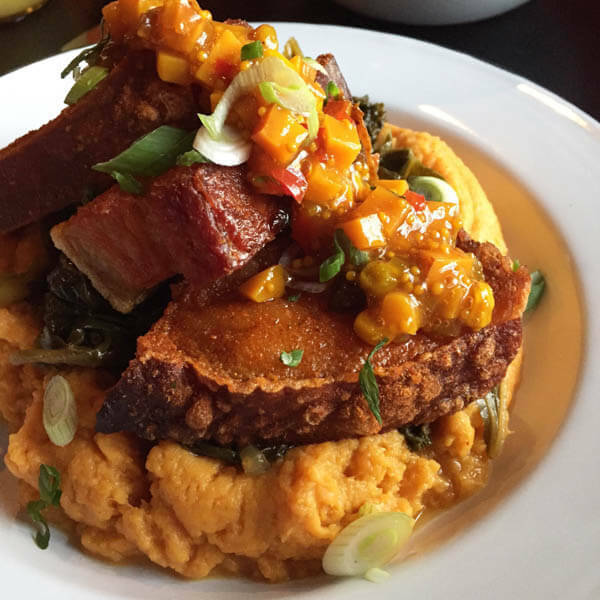 The restaurant features a daily seasonal menu inspired by southern cuisine and local ingredients. On the night we visited, the restaurant featured a Caribbean inspired menu in addition to the weekly menu. We ordered the fresh conch salad, pork belly, chicken and dumplings and banana foster tart. It was difficult to choose what to order because everything on the menu sounds amazing. The portions were surprisingly large and made with the freshest ingredients. Featuring three different dining areas, the restaurant is relaxed and welcoming. It is a must on the island and I can’t wait to return for brunch! 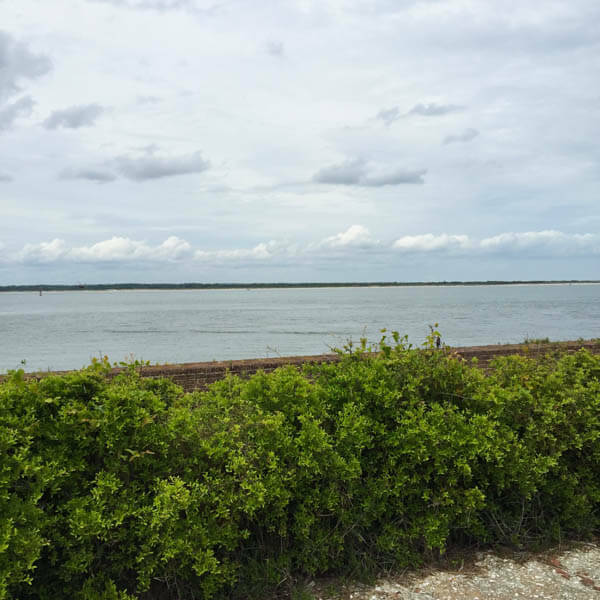 A day trip to Amelia Island is a great way to enjoy many of the things that the island has to offer. 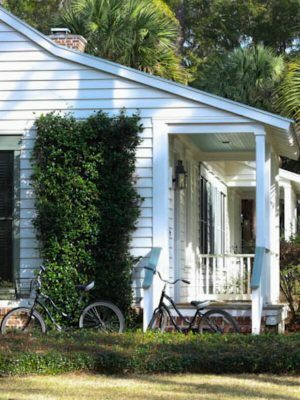 Amelia Island is the type of place where you could easily spend a week and still not experience everything on the island. I can’t wait to return and stay at one of the resorts or inns and experience all that the island has to offer. Kayaking, river cruises, horseback riding, golfing, fishing, and bike riding are just a few of the things I hope to do on my next visit. Whether you spend a day or a week, Amelia Island is a great place to experience nature, history and culinary activities! Disclosure: I was not compensated in any way to write this post. I researched and visited all of the places mentioned in this post myself. I share my favorite places to help you enjoy the best travel experiences. I have never heard of Amelia Island but now I need a vacation. That restaurant looks awesome (hello fresh oysters!) and that fudge and chocolate - send it all my way! I'm in PA and we've been to Florida on vacation twice in the last year but I've never heard of this little hidden treasure. 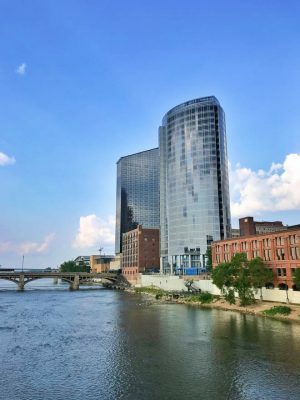 There is so much to do in your state! I love your pics. The food looks amazing!! Going to add this to our next FL must-see list! Love the write up about our home. There is so much to do here that you never hear us say anything about being bored! There are two farmers markets so you could go to one on one Saturday and visit downtown then the other at the plantation and visit there. 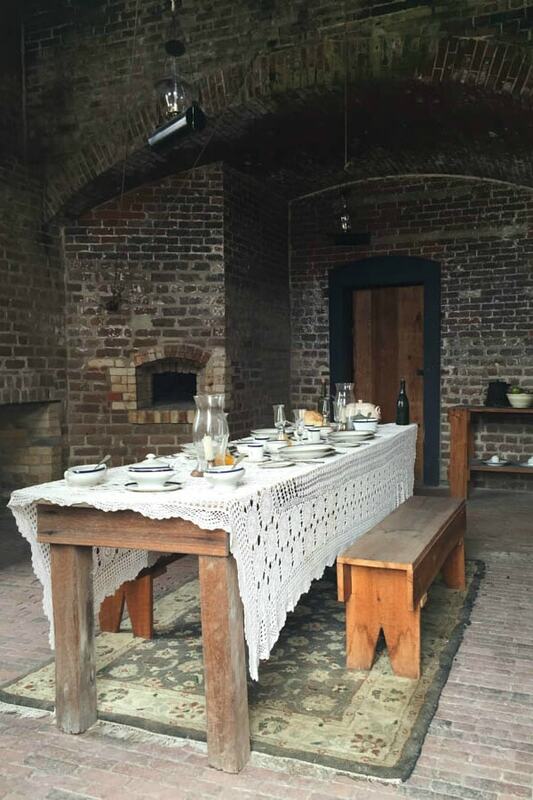 While you're downtown book a trip to take a tour on the water and enjoy a closer look at Cumberland Island. Shrimp fest is next weekend so come visit!! Rent bikes and kayaks and enjoy! Hi, Erica! You are lucky to live in such a beautiful place. I will definitely be returning. Thanks for the suggestions! I'm convinced!! I don't think I would have ever thought of Amelia Island for a vacation, but I totally want to spend some time there now! Oh my gosh, that fudge looks so amazing, I want all of it!!!! Amelia Island sounds like such a neat place to visit. My husband and I LOVE visiting historical sites and this is right up our alley. Thanks for sharing! Yum, yum, yum! Looks like an amazing trip! So charming and lovely! Oh my gosh; I want to get on a plane now! As you recall I did a post about Gulf Country Florida recently and I'm ready to come down and explore all these places! Each photo was so alluring (loving the black and white enamelware) and this place looks utterly charming. What a wonderful portrayal. You need to work for their Tourism group! Wow! This place looks amazing! :) It seems to be less than 2 hours from Hilton Head & Savannah, so the next time we are down that way we will have to plan to spend a day on Amelia Island. Love the civil war fort! 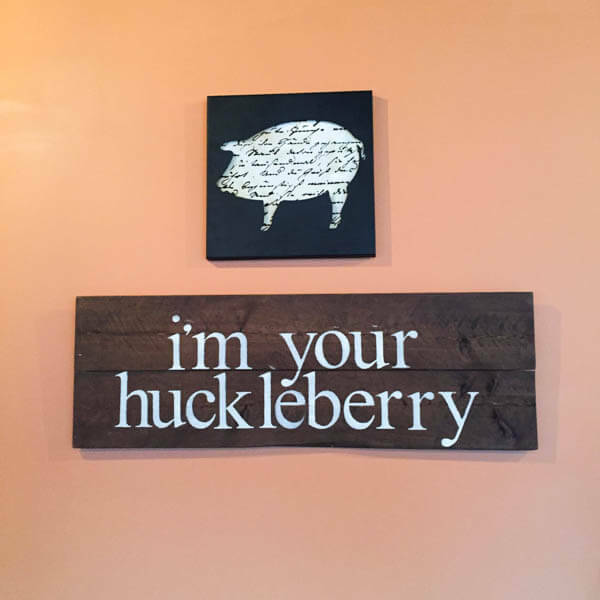 And I am the same- I always have to scout out the local farmers market whenever we travel! Looks like an awesome trip filled with delicious food!! I've never heard of Amelia Island, but there is so much to see and do there! 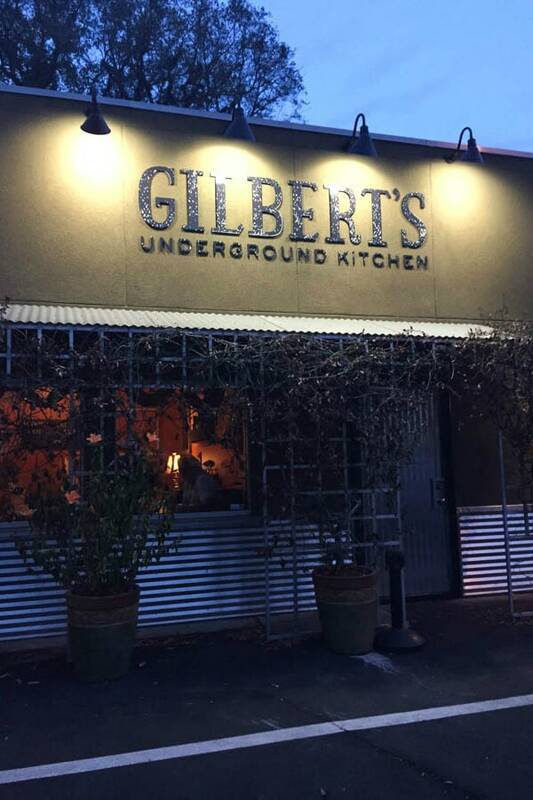 Gilbert's Underground Kitchen looks and sounds fabulous...I'd definitely be stopping by there if I visited! Thanks for a great write up! So pretty! I've heard of Amelia island before but have never been (then again I also haven't been to Florida in years!!). That restaurant looks delicious! This looks like such a great place to visit! Love the historical bits. Thanks for the review. Love these pictures, looks like such a nice visit! Ashley - This looks like the perfect stay-cation. I love being able to travel around my home state in Connecticut to check out museums, historical sites, and of course, restaurants and breweries. Those chocolates look amazing.